Technical Fibre Products (TFP) says that it plans to increase capacity by 50% to 2020. JEC Asia attracted more than 230 companies and 7000 professional visits, with 49 countries represented. Biesterfeld Spezialchemie, a German chemicals company, has introduced a new core material. Molding specialist Arburg's Dutch subsidiary has reportedly celebrated its 25 anniversary. Materials company Evonik says that it has supplied an adhesion promotor for a hybrid part that helped reduce weight by 20%. 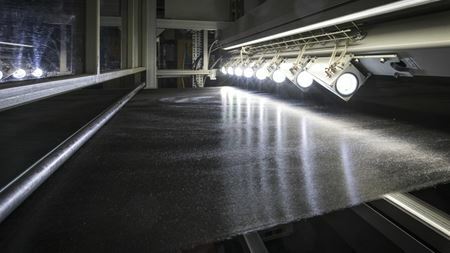 Materials company Haydale has been awarded a research and development grant to develop graphene powder composite tooling.